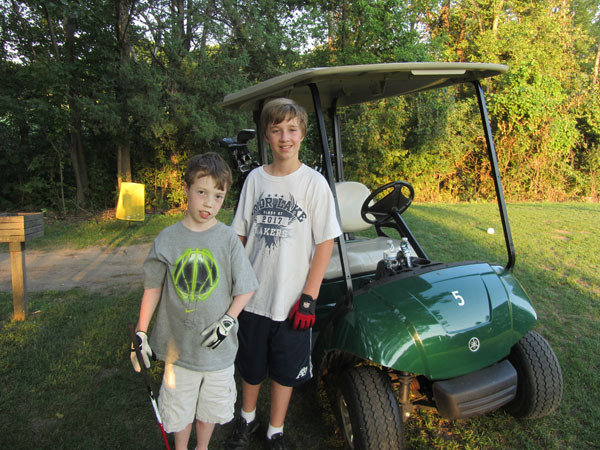 Luke and Avery have been taking golf lessons for a few years now and played in a golf league this summer. 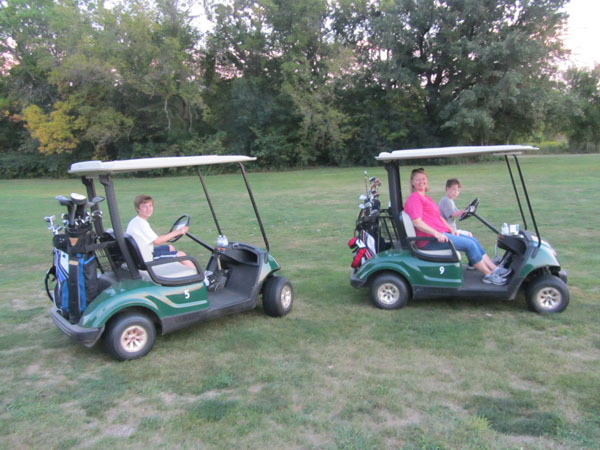 I thought it was time to put their skills to the test and see just how badly they'd beat their old man on the links. We decided to do a Best Ball game with Avery and I taking on Miss Sheri and Luke. 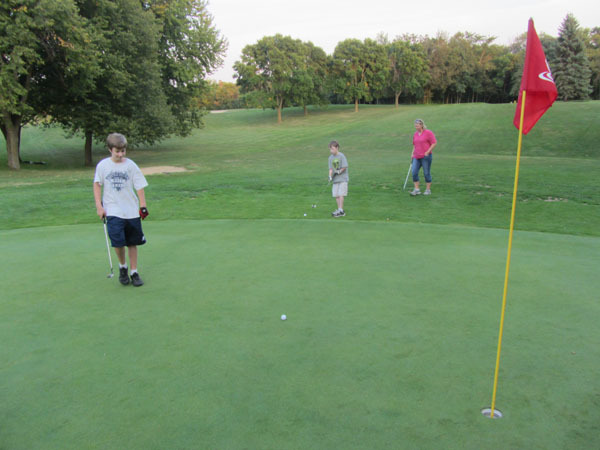 In the end, Avery and I won by a couple of strokes, but I really can't take any credit. Avery had most of the Best Balls on our team. As a matter of fact, I think if I would have joined Miss Sheri and Luke's team, the end result may have been the exact same! 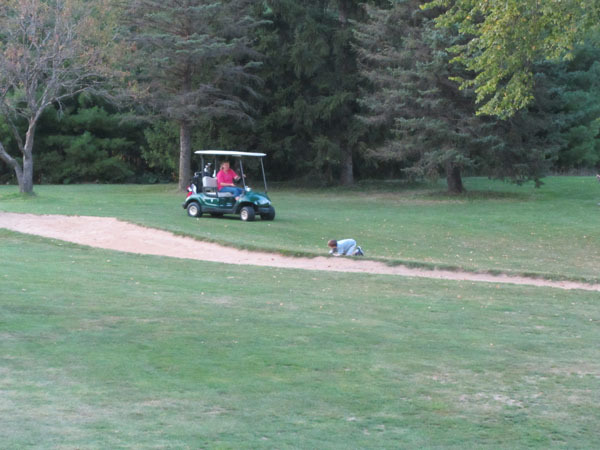 Part of the reason they lost is that Luke insists on crawling into the sand trap every time his ball goes in there. He says it's to "Avoid Snipers" but I have no idea what that means. We had a taste of what it's going to be like in 3 years when Luke and Avery are old enough to drive. All I can say is it's going to be scary. I may turn in my driver's license to the state before that happens, because there's absolutely no way that I want to be on the roads at the same time as they are.